Ales Bask Hostomsky aka BASK is a contemporary painter and grafitti artist. His large scale work brings together elements of street art, pop art, animation and film. Bask’s imagery has appeared in countless publications in both advertising and editorial capacities. His work has been shown in the Florida International Museum as well as the Jacksonville Museum of Modern Art, which also has his work in its permanent collection. 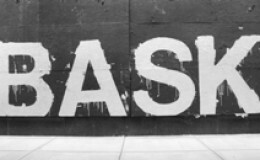 Bask has also exhibited his work in solo shows in Baltimore, Detroit, Miami and Tampa among others. 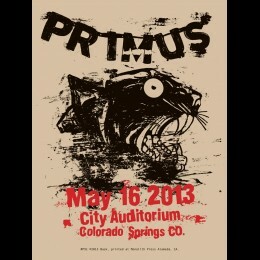 Primus concert poster designed by Bask.Signed, Serigraph print, 18"x24", Not framed.. Original piece by Bask.Mixed Media, Enamel on found object, 25"x40.5"Unframed..